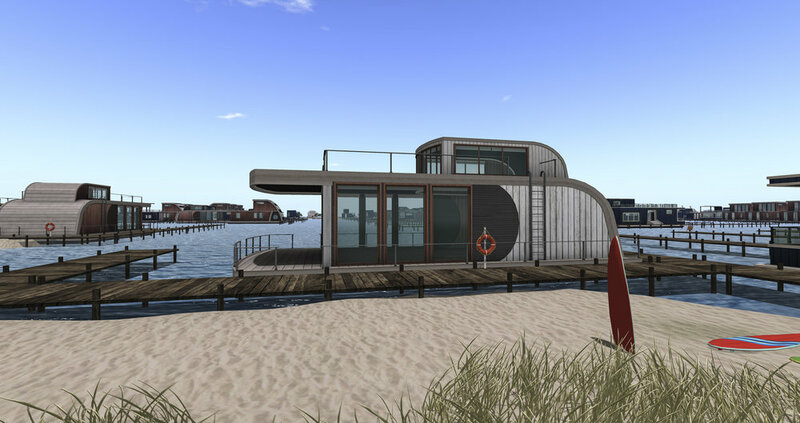 September brings new developments to Second Life for Premium Memberships, improvements to Profiles and an update on mesh. These are all part of Linden Lab’s ongoing focus in 2011 on improving service, performance and usability. At the beginning of September, we introduced some new benefits for Second Life Premium members. The first improvements? Exclusive gifts and Premium-only sandboxes. Getting access to your new Premium rewards is easy. Premium Gifts can be claimed now by members via one of the many inworld Premium kiosks, and the Premium-only Sandboxes are already open. Even more benefits are on the way, so this is just the beginning. Read the original blog post for more details about Premium Sandboxes and Premium Gifts. Not a Premium Member? There couldn’t be a better time to sign up. We’re running a special limited-time promotion for new quarterly Premium memberships from now through Monday, Sept. 12 at 50 percent off the regular price. This means that people reading your posts live can teleport directly to your location and join you. Those who see your post later can also check out the location to see exactly what you were talking about — even if you’re no longer there. Of course, you can always choose not to use this feature — it’s just there when you want it. Now you’ll see posts from people nearby wherever you are inworld. Some of these posts might even be made by people in the same location at the same time you are there. It’s a great way to connect with others to start a conversation. You can also use this feature to browse through older posts, which can give you insights as to what kind of activities and conversations typically happen in that region. For example, you might uncover posts about recent or upcoming live music shows, hot new stores or the insider scoop on the hottest local dance clubs. So... let people know where you hang out and why — or keep quiet, and just see what others are doing and saying. If you haven’t heard the full story of Social Profiles, check out our post from last month for more details and the big picture. With the arrival of mesh, a number of Residents have already started to create some impressive mesh items inworld. Since its inception, we’ve seen more than 9,000 content creators enable mesh, and more than 20,000 items have already been uploaded to the grid. And we’re looking forward to seeing what creations you make next. There’s a lot of excitement around what mesh models can offer — for more information or to try it yourself, check out this page. You can also browse through some of the first mesh creations in our Mesh Showcase. The Lab is working on continued improvements and the next mesh release will include upgrades to how we show resource weight and land impact of objects. Mesh rolled out in August as an added option to all inworld building tools to help Residents craft even more creations inworld. For the best mesh experience, you’ll need the current version of the Second Life Viewer (Version 3.0) or a comparable viewer. Q: What’s the one thing you bring from the gaming world that will be most useful to you in your position at Linden Lab? A: Working in gaming taught me a lot about just how creative and passionate that audience can be, and I think the same is true for the Residents of Second Life. And SL provides so many great tools to enhance and bring out that creativity, I’m really looking forward to helping foster that as we move into the next phase of the platform’s growth. 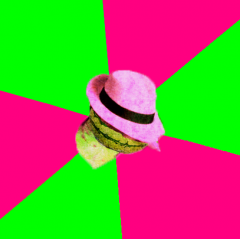 I want to see if we can make the range of what’s possible in Second Life even broader. Q: What are your goals for your new position as VP Marketing at Linden Lab? A: What I really want to do here is help the Lab figure out what the “X Factor” is going to be for Second Life. When I was working on games, I always tried to choose a single idea to focus on and bring out, an X Factor that helped people get into the game and helped them discover all the rest of the possibilities there. If I can help bring that kind of focus to Second Life, I’ll be happy about how I’m doing my job. Q: What excites you most about working on a product like Second Life? A: I’m excited about the prospect of helping to build a product that really empowers people to express what they’re about, and that can make a real difference in their lives. I think we’ve only just started to see what can be done here, and I can’t wait to see where we and our Residents can take things from here. The Second Life economy remained stable in the second quarter of 2010, despite one-time events that affected a number of metrics. The most notable economic event of the second quarter was a temporary decrease in the exchange rate of the L$ vs. the US dollar in mid-June that has since returned to typical levels. Our research in the weeks since this occurred indicates this change was due in large part to our merge of Residents’ inworld and XStreetSL L$ balances.This had the temporary effect of reducing L$ purchase volume as Residents lowered the total amount of L$’s they were holding because they now had one combined account. Previously, Residents held a higher combined L$ balance in two separate accounts and purchased L$’s more frequently when they were keeping a minimum balance in each. You can read more details in our quarterly economic spotlight post. From time to time we will change our reporting in order to provide the most relevant and accurate summary information for the use of merchants, landowners, content creators, and other participants in the Second Life economy. Our goal is to provide those who participate in the economy and run inworld businesses with the data they need to make informed business decisions. We are making a change from the recent past by reducing the relatively large set of metrics we have provided--many where causality is complex or unclear--and we will instead provide a more focused data set with a briefer description about each quarter’s activity. We believe the indicators below are the key items to focus on, and we are adding a page describing the content and methodology behind each figure. In addition, we will be phasing out the data feeds at http://secondlife.com/statistics/economy-data.php. We’ll have more updates on this shortly, but because this data currently bears little relationship to the health or strength of the Second Life economy, we feel it’s appropriate to discontinue these feeds. At least for the time being, one figure we will no longer publish in our historical charts is the Resident-to-Resident transaction data. As we’ve analyzed this data we believe that it is not as accurate a measure of the inworld economy as we would like. We are currently working to develop a more accurate metric with which to replace this number. For the near term, we will continue to publish a comparable Resident-to-Resident transaction figure for historical comparison. In Q2 2010, Resident-to-Resident transactions totalled approximately L$40 billion, or US$152 million. Q2 2010 averaged 805 thousand monthly repeat logins, a rise of 8.6 percent vs. the Q2 2009 average of 742 thousand. Levels are flat with Q1 2010. User Hours were slightly lower, at 108 million for the quarter. The Q2 2009 User Hours figure of 126 million includes substantial usage attributable to “bots” and other scripted agents. Bot policy changes took place in mid-Q2 2009, making it difficult to make accurate comparisons with the year-ago period. User Hours in Q1 2010 totaled 116 million. Monthly Economic Participants (those accounts that receive or distribute L$ in a given month) are the most active and engaged participants in Second Life and the economy. Economic participation in the second quarter, on average, was flat against the previous quarter, and rose against the same period a year ago. The average Linden dollar exchange rate moved from approximately L$261 per US dollar at the beginning of the quarter, to just under L$269 per US$ at the end and fluctuated across a larger range for two weeks during June (see second chart below), as we noted at the time. Average exchange rates, however, remain largely unchanged. As noted above, our research indicates this change was due to our merge of Residents’ inworld and XStreet SL L$ balances and temporary market uncertainty immediately after the announcements of our restructuring and changes in senior management. Read more details in our quarterly economic spotlight post. We are also improving and changing how we report the L$ Supply figure with this quarter’s post. Previously, this metric did not include individual XStreet SL account balances, and misclassified some administrative accounts as Resident accounts. For this quarter we have updated the calculation to include only Resident accounts, and have summed their balances across both XStreet SL and inworld. This number now more accurately represents the total purchasing power of all Residents in Second Life. Note that we have shown both calculation methods in the charts. Historically, LindeX volume has been very stable, and the slight decline from Q1 is within past ranges. This metric is traditionally less volatile than many other indicators we report, and we expect this behavior to continue. Q2 2010 saw 39% growth in sales over Q1 2010 and 124% growth over the same quarter a year earlier. The primary driver of this growth was the merging of users’ Xstreet SL and Second Life Linden dollar balances. This simplified the purchase process on Xstreet, producing an immediate jump in sales volume. In addition to the benefits of the balance merge, we continue to show healthy growth from the acquisition of new users paired with the development of new creative products from our merchants. Q2 continued the trend of setting record sales volume and this quarter in particular contained an important milestone, as Xstreet SL had it’s first month with over US$1 million worth of sales. World Size grew to 2,110 square kilometers at the end of Q2, from 2,070 at the end of the previous quarter, and 1,900 for the year-ago period. Private regions accounted for the largest portion of inworld land (44 percent), and private homesteads the next largest (36 percent). Mainland regions accounted for 19 percent of the total inworld land mass. The L$/US$ exchange rate briefly experienced fluctuations for approximately one week in June. At the time, we interpreted this as being due to a number of factors, including uncertainty over our recent reorganization. Further research has shown this was also caused by the effect of merging Residents’ inworld and XStreet SL account balances in late March. Previously, Residents had two separate balances: one for inworld transactions, and one for XStreet SL transactions. Merging those balances provided a more convenient, efficient way for Residents to maintain and spend their L$ balance. Residents are no longer keeping a higher than historical average L$ balance across their two accounts and this process of reducing their total balances caused new L$ purchases to temporarily be lower while these “extra” L$ were used and/or added to the selling volume if the L$ were taken out of the economy. At this time, total Resident L$ balances have stabilized and are no longer falling. Despite this temporary uncertainty and related market impact that caused sell volumes to briefly spike beyond purchase demand during one week, trading activity and the exchange rate have since returned to near historical levels. The L$ exchange rate is a floating rate that can change based on supply and demand. Although Linden Lab employs a variety of methods including sinks, sources, and selling L$ from time to time, and tries to maintain a relatively stable money supply and exchange rate, we are committed to allowing the economy to fluctuate based on its own market forces. As in the real-world economy, these market forces can sometimes result in changes that can affect businesses positively or negatively in Second Life. For more information on the Second Life economy in the second quarter, read today’s blog post. Along with many other services across the Internet, Second Life needs to separate the unique identifier you use to log in with from the name you are known as inworld. 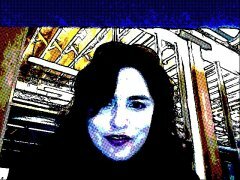 By insisting that the two needs be served by one name, we make it nearly impossible for anyone to use their real name, nickname, role-play name or their social Web identity within Second Life. Our new Display Names feature will finally make that possible, as well as allowing a greater freedom of expression inworld. Over the last two weeks, we’ve received a tremendous amount of Resident feedback, based on two blog posts -- one announcing Display Names and the other announcing the open beta and Project Viewer for that same project, giving all Residents the opportunity to get hands-on experience with Display Names today. In fact, we received more than 63,000 views and 1,600 comments on those two posts alone, which is very cool! Also, we’ve had thousands of Residents download the Display Names Project Viewer and test out the feature on our test grid which is providing invaluable feedback and enhancement suggestions. We’ve read every single one of your comments and Jira submissions and as a result have been rethinking certain aspects of the feature with your comments in mind. We will change the default behaviour to show both the Display Name and the unique Username if the two names do not match. If they do match, we will show just one (Display Name). Residents can still change this behaviour in preferences. Increase the visibility of the Username throughout the interface. As the Usernames are unique to each account we’ll make this more prominent in the Profile and elsewhere so that you can easily check who someone is. We’ll also label the two names clearly in the Profile so that it’s obvious what they are. We will make it more consistent so that where you need to see both both names, you will. Improvements to chat so that you can see username if you wish to and so that chat logs include notification of any display name changes by anyone present. As often happens with password creation, we will require Residents that are changing their Display Name to enter it twice, to ensure they do not misspell it and end up stuck with a name they can’t change for a while. We’re looking to add a simple one-click way to copy a Display Name to your clipboard - because unicode can be incredibly tough to type. We also received two very good suggestions to help mitigate the impersonation and griefing risks. The first was to use colour coding for Display Names to bring more clarity to names. The second is charging a nominal L$ fee to change a Display Name. The thinking there was that it would deter new Alt accounts being used to misuse the Display Name feature. We are considering both ideas; I will get back to you with the outcome of that discussion soon. Some of you have suggested disallowing the Display Name from matching any previous Username, but as we have used many millions of names for accounts already that would make Display Names very hard to use as most names would be blocked. The Display Names project is about the freedom to express yourselves inworld -- including using the tag above your head. As people live out their Second Lives their needs for the name above their head may change -- perhaps they meet someone and fall in love, or they make a new professional affiliation or decide to roleplay. This is why an important principle behind this change is that Display Names not be unique or limited. The Display Names project also allows us to simplify the registration process. In the past, name choice has been a point at which many potential Residents abandon the process. Display Names is also about the ability to use Unicode characters for our international Residents, something that is increasingly important as we grow. We recognise that we need to offer this capability in a way that best preserves your unique inworld identity and protects you, as much as possible, against the risks of impersonation and griefing which are the areas where a large bulk of your concerns lie. We are listening and will continue to do so. We will soon provide a revised Project Viewer so that you can see the changes we are making as they take shape. We may have several such iterative releases so that you can see the results of your feedback. On behalf of the entire Display Names team, we want to thank you for your passionate and thoughtful responses. You are at the heart of our business, and we really value the dialogue because ultimately it results in a better Second Life experience for all. I’m looking forward to hearing your thoughts as we continue to improve this Viewer 2 feature and others coming soon. 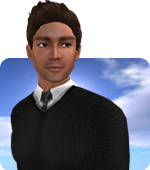 During Philip’s keynote at the 2010 SLCC, we committed to bringing Mesh import to Second Life. This functionality would allow content created in the mainstream 3D creation tools, such as Maya or Blender, to be imported directly into Second Life, in much the same way that animations and textures can be uploaded today. In this case, we would provide support for the Collada file format. We see this as an important step to empower content creators to make the inworld experience an even richer and more creative one than it is today. As you know, we have been working on Mesh import for some time and have had an awesome group of Resident beta testers helping us to iron out the kinks. Those testers have been under NDA, but today we will be lifting that NDA so that those folks in the closed beta can talk publicly about their experiences with Mesh in Second Life. This is in line with our desire to be ever more open about what we are working on. Look for other videos, blog posts, and Tweets (#slviewer2) shortly. In fact, I encourage you to view the Second Life Youtube channel where we already have six videos showcasing Mesh Import technology, contributed by beta testers Draxtor Depres, Timmi Allen, and Matrice Laville. And, big thanks to all of our Mesh Import beta testers. Your dedication, creativity, feedback, encouragement, and patience has been invaluable. We couldn’t have gotten here without you. We’re also getting ready to move from the current closed beta, to an open beta so that any Resident interested in helping us to test the Mesh toolset, or just curious about the technology, can get involved. Mesh Import has some incredibly exciting implications for inworld content creators, so we’re very keen to get as much feedback as we can; and of course, the more people that use it, the better the feature will be when we go live gridwide. The plan is to blog again in two weeks, when we’ll announce when the open beta will be available and talk more about the development process and the remaining work to be done. As you’re starting to see on other projects, there will be a specific Project Viewer for the open beta for Mesh Import that will take Residents to a development grid where Mesh is enabled. The open beta will be a ‘technology demo’ rather than being a complete product -- so you should expect that the user interface will change significantly as we receive your feedback and continue to work on it. The technology for Mesh Import is complex, so making sure that it is not only easy to use, but also a powerful tool for content creators, is part of the challenge. We’re looking forward to getting your help. I’ll leave you with some great screenshots showing some of the work our beta testers have done. And definitely check out those Mesh Import videos on Youtube. I hope you’ll agree that this is going to be a wonderfully exciting addition to Second Life. In January of this year, Linden Lab purchased Avatars United as part of our social strategy and a larger ambition to integrate powerful social networking capabilities into the Second Life experience -- to make it even faster, easier, and more fun to find friends, build vibrant communities, and share the richness of Second Life with fellow Residents inworld and friends outside of Second Life. We purchased Avatars United for its underlying social technology -- the ability to create social networks, communities and groups. In order to focus our resources on integrating that technology to Second Life, and to minimize the confusion between the Second Life and Avatars United brands, we will be taking down Avatars United, on September 29th, 2010. We will roll out new Resident Profiles in the coming months -- including the option to share more about your inworld identity and infused with social networking functionality -- all under the Second Life banner. The most “back to basics” building blocks of Second Life -- the heart of what makes Second Life so special -- is you, and we’re committed to using the Avatars United technology to help you build richer communities and create stronger, more dynamic relationships with each other. If you have a profile on Avatars United, then we encourage you to use this week to save any pieces of content (such as pictures, friend’s names, etc.) that you want to keep. AU members will shortly receive an email version of this post that will also update them directly on their AU Coin refund, for those that have an account balance. We would like to thank all members of Avatars United for participating in our community, and being part of the Second Life family. And, we hope we will see you again, in Second Life! On October 13th, you will find a new “Mesh Project Viewer” on the Downloads page, which will be available for any Resident to download. This Viewer cannot connect you to the main grid; instead, it will take you to a development grid (called Aditi) where mesh has been enabled. After you download the Mesh Project Viewer and log in to Aditi, you can then experiment with mesh without impacting your regular SL account. The mesh features should be fully functional, so you’ll be able to upload mesh files, define their physical shape, apply them to objects, and link multiple mesh objects together. Some aspects of mesh are complex, but don’t worry -- we will also provide documentation explaining how to get started with mesh, along with some simple examples to get you started. The main purpose of the beta is to have as many folks trying out the technology as we can, so that we can improve the quality and iron out any issues early. I’ll blog again on our progress shortly and will also let you know how best to file bugs or give us other feedback. We are still actively working on the user interface for mesh, so you should expect this to look a little rough for a while as we polish it up and make changes based on your feedback. So, if you’re someone who is comfortable trying out beta software, and you’re interested in creating mesh objects in Second Life -- a whole new level of creativity -- please do put October 13th in your diary! The more involved you get, the better it will be! Today, is a bittersweet day. As planned, we have taken down the Avatars United site, as outlined in last week’s blog post. The Avatars United website now points to the main Second Life homepage. Although many are sad to see Avatars United go, we are very excited that soon we'll be sharing more of our thinking as we explore how to integrate social networking capabilities, powered by Avatars United technology, directly into the Second Life experience. We want to make it even faster, easier, and more fun to find friends, build vibrant communities, and share the richness of Second Life. For Avatars United members, we hope that you’ve taken advantage of the past week to save any pieces of content that you wanted to keep. And, if you have an account balance, then yesterday you should have received an email regarding your AU Coin refund. Expect another email later this week with more specifics on your individual account. 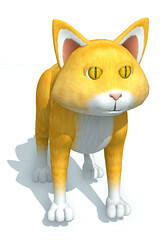 As I stated before, a big thanks to all Avatars United members and we encourage you to reestablish your connection with friends--and find new ones--in Second Life. See you there soon! After about four months as interim CEO, working closely with Bob Komin, the management team, and the board, we've decided we are ready to start the search for a new CEO. I'll be leaving day-to-day management of the company and continuing in my role on the board, including helping in the search to find a great CEO. I will also be continuing my work with my new company, LoveMachine. Bob will lead Linden Lab while we conduct the search. It's been an intense few months of transition, and we all feel like we are in a better place now, with a clearer sense of direction and more focus, and are ready to bring someone new into the mix as a leader.